Picture it, the Enterprise is being sucked into a worm hole, and appears headed for destruction. Captain Kirk is screaming for more power to the warp drives. Captain Kirk: All she’s got isn’t good enough! What else ya got? 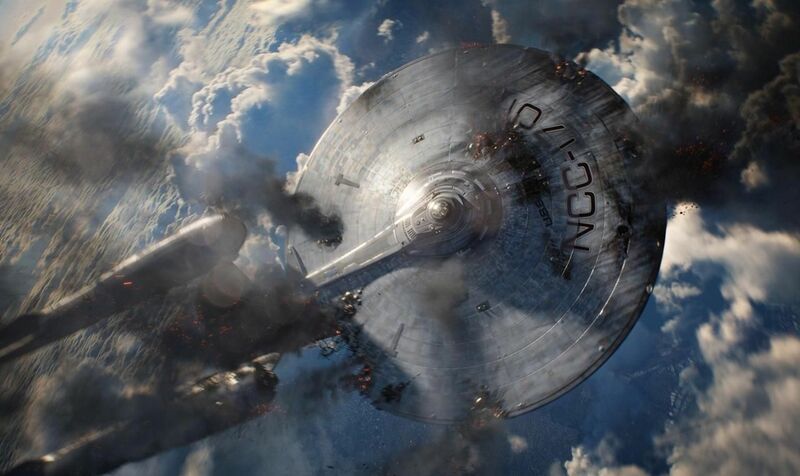 Scotty: Um… Okay, if we eject the core and detonate, the blast could be enough to push us away! I cannae promise anything, though! This is what I think when I think about changes to AutoCAD’s MText. What other feature has grown, expanded, and become more powerful over the years than MText? Remember doing single-link text in pre-AutoCAD 2000? Imagine doing it again? Just when you think MText can do everything you need, Autodesk goes and adds some more. 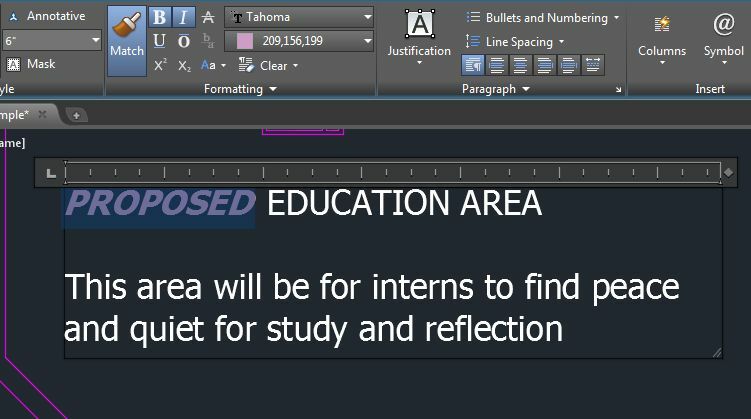 What’s New with MText in AutoCAD 2015? The MText Editor is now fully transparent (with hardware acceleration), meaning you can see all the geometry through the editor. You will now see exactly what you’re going to get with MText, as you create it. Match Properties is now available within the editor, meaning you can match properties between objects within the Editor. Previously it was one MText object to another, not individual components. Might be my favorite MText enhancement. It’s not uncommon in the Engineering world to work with CAPS LOCKS on as you want your labels and other notes in all CAPS. However, you start hammering away at a note to realize half way through that your CAPS LOCKS was on and now the case of your notes is all off….. BUT NOT ANYMORE! 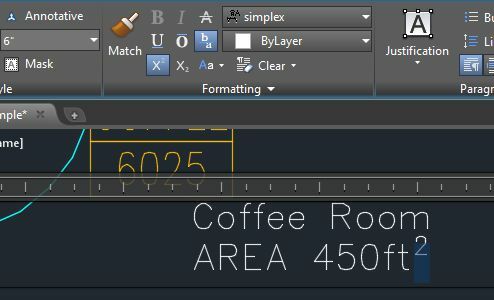 Now when you type with CAPS LOCK on AutoCAD will automatically adjust the text of the first word to the proper case as you hit the spacebar (how do I make MS Word do this?) It will also turn Caps Lock off. Any combination of special characters like .,()<> and a number or character will now automatically start numbering. So if I was to type (1) My Note and hit enter the next line will automatically start with (2). A lightning bolt will appear giving you the options of turning this off or continuing from a previous list. Superscript and Subscript now have their own buttons meaning you no longer are required to know the auto-stacking tolerance trick to create the super(sub)scripted text. There goes one of my “tricks” when I’m teaching AutoCAD! 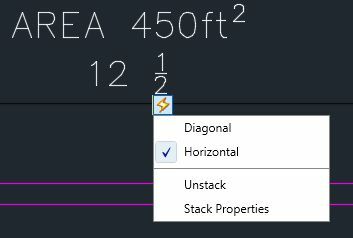 When AutoStacking occurs a lightning bolt will appear providing options, including adjusting the stacking and accessing the AutoStack dialog. Contextual tool tips now appear when you hover your cursor over the tab stop providing a better idea of what it is and how it works. You can also access the Paragraph dialog to adjust the tab stop location. PreviousAutodesk Inventor 2015 Released – Whats New? T-Splines?